It was probably sometime in 2003 when Eric Wrenn and I noticed that we were the only ones on LiveJournal that had “Josef Müller-Brockmann” as a shared interest. This is something that still is both a badge of honor, and perhaps, an embarrassing fact. But what was fascinating was the combination of our obsession with Swiss modernism in a medium for teenage bloggers. 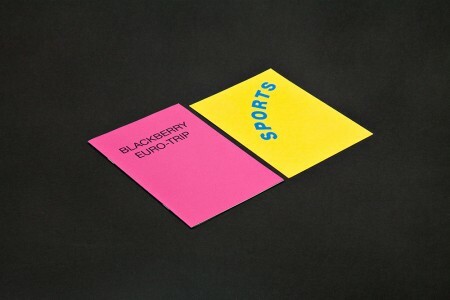 Fast forward, Eric still likes to mix the high and low as an established designer and art director in New York, and is most known for his work on the music publication ‘SUP. And now that we’re both finally professionals after all these years, I had a chance to catch up and see how the magazine is going, and what else he’s been working on lately. Hey Eric. What have you been up to lately? I’ve been working a lot with a new fashion label, Eckhaus Latta—logotype, invitations, website, hangtags, packaging for some upcoming collaborations, and actually a print that made it into their last collection. And lately I’ve been doing some freelance work at Wolff Olins in New York. I like what’s happening right now and I’m looking forward to the future. 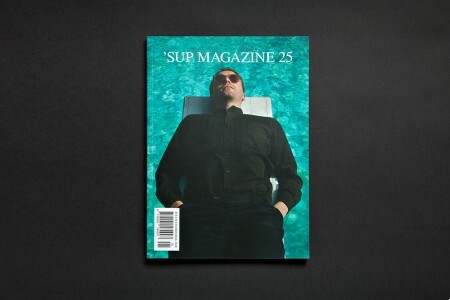 Can you talk a bit about how you got involved with ‘SUP MAGAZINE and what’s involved in producing an issue? I’ve worked with Brendan Dugan, the creative director, on a bunch of projects at his studio, An Art Service. I started working on ‘SUP maybe 5 or 6 years ago, now I’m working on it mostly at my studio, and we go back and forth. 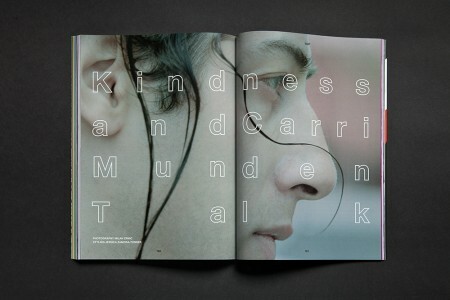 The magazine evolves with each new issue. There were 21 shoots and interviews. I just got back from the press check in Belgium. How was Belgium? Why print over there? A lot of really great magazines print at Die Keure for a reason. It was a really great experience—they’re passionate about what they do. Plus, why print somewhere conveniently located? ‘SUP looks quite different when I first encountered it randomly outside Ooga Booga in LA a few years back. Marisa Brickman, the publisher, started it in 1998 when she was in college. 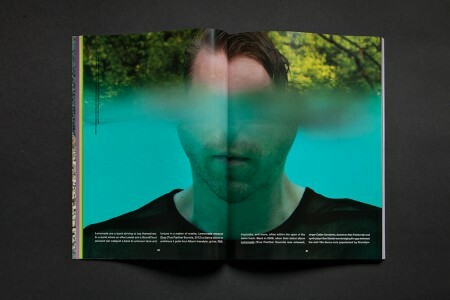 The first issues were photocopied – its gone through a lot of visual iterations, but it stays true to its “DIY” spirit. Do you have a say in the editorial process? We all live in different places so we use a google document and work collaboratively to set things up. I’ve assigned interviews, chosen some questionable pull quotes. Do you guys aim for anything thematic for each issue? There’s never a theme, at least consciously. What ends up in each issue actually has a lot to do with artist availability. Then… how do you know then that an issue is complete? At a certain point it’s about actually sticking to a deadline. This time we had the book fair. 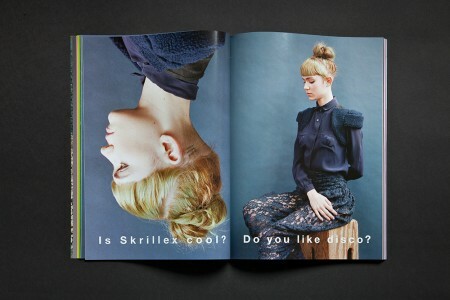 How do you think ‘SUP distinguishes itself from other music/culture magazines out there? I think of ‘SUP as a mixture between Interview and Bop, two magazines I really like. ‘SUP has a lightness to it, but it’s dense. We’ll run seven full-bleed photos of Grimes alongside a six page interview with Genesis P-Orridge. Also, we don’t publish reviews or use pre-existing press photos, which is really unusual for a music magazine. Do you have a view or opinion about music or music magazines, in general? There’s less demand for music magazines than in the past—we have the internet now. Have you looked at Rolling Stone recently? Honestly, I haven’t. Though, I still can’t think of Rolling Stone in terms of a website. I still associate it with a physical magazine. Maybe the demand is sort of the same way that some people (myself included) romanticize buying the album and the artwork/liner notes along with it, instead of just getting a jpg attached to an mp3? Totally. 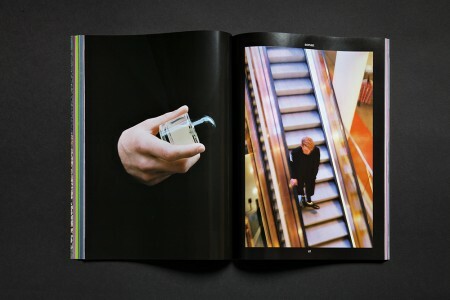 When you flip through a really nice magazine—the weight of the paper, the way it sits in your hands, the consideration of the margins, the smell—there’s nothing really to say about a PDF. Yeah, other than its filler for a frame like an iPad. But hey, what about a pdf version of ‘SUP? Transitioning to another part of your practice: do you think you approach designing catalogues differently than a magazine? Sure, I think different circumstances call for different solutions. Do you find any overlap of some sort between the two ways of working? I guess in both situations I strive for editorial involvement. Tell us a bit about your process with The Book that Makes Itself. How did the artist want you to approach the design and organization? Robin Cameron approached me during her first year of graduate school at Columbia. Before school she was working as a graphic designer, but she wanted to erase that part of her practice and be an artist—a big underlying theme of the book. We ended up working together deeper than either of us had anticipated on the structure of her writing. In the end what we came up with (a three-act play) defined what the book would look like. Why the idea of a play? It just seemed like the right thing to do based on the way Robin’s writing was going. The Book that Makes Itself feels pretty quiet compared to your other work. 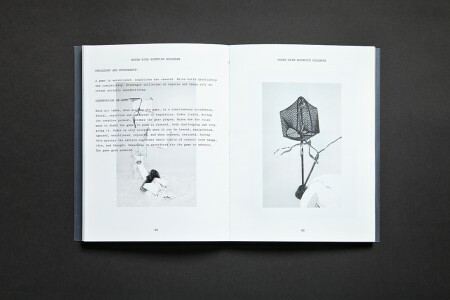 Do you think that catalogues for artists or galleries should be more subtle, or do you think an bolder moves like what you do with ‘SUP have a place in these publications? 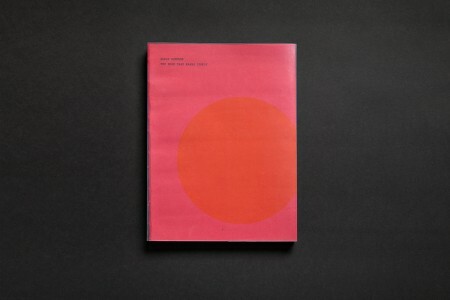 It’s funny that you say the design of that book is quiet, I think it’s pretty wild. 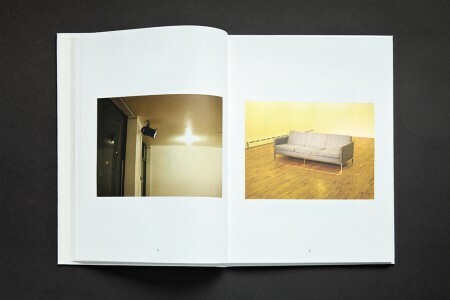 The book has three “curtains” that open and close each act. There’s a spotlight. The stage is a metaphor for graduate school. 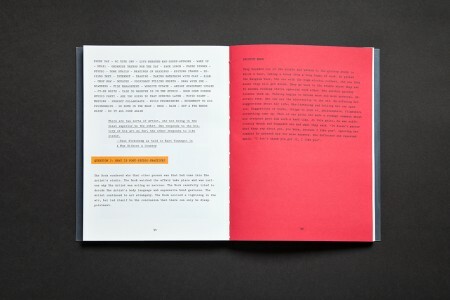 The Book That Makes Itself has no cover—the clear dust jacket shows the skeleton of the book, making itself. I think bold moves can be subtle and meaningful. On the other hand, sometimes with ‘SUP the boldest thing is the dumbest thing. But just because something is dumb, does that mean it’s not valid? Not at all. I’m into dumb stuff. As am I. Maybe its a populist thing? Well, it’s not a cynical thing. Speaking of galleries, could you talk about the catalogue you made for Real Fine Arts, Available Work? 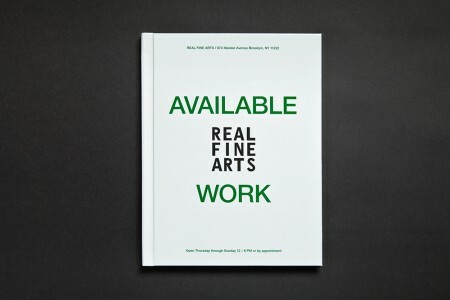 Real Fine Arts had an idea about the aesthetic they were looking for – they wanted a glossy white cover, so we started there. 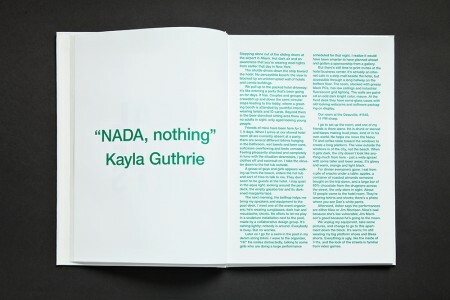 The catalogue was made for their booth at the NADA art fair in Miami. They wanted to sell some art and show their history, so the book showcases “Work” that was “Available”, and press releases from all the exhibitions they’d had up to that point. 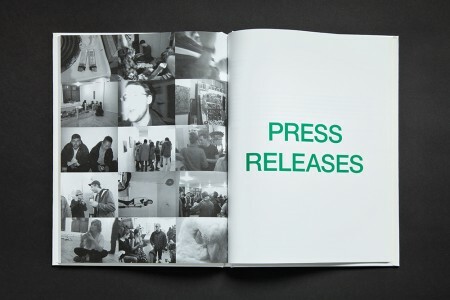 The two sections, “Available Work” and “Press Releases”, are separated by a full-bleed page of cell phone party photos from their openings. All the type is set in green. The elevator pitch sounds so straightforward, but I feel like there’s a sophisticated wink-wink in there somewhere. Do you think that there’s a level of self-awareness like that involved in the design, or at least the decisions you’re making? Haha. Yeah, I mean, there are a lot of things I could be doing with “design”, but sometimes I think it’s more interesting to not design. In some circumstances it’s just not appropriate. You’re about to have an installation up at the bookstore OMMU in Athens pretty soon. Tell us about that. 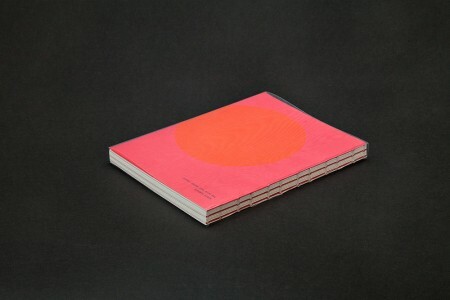 I’ll be showing a collection of self-initiated printed objects. There will be postcards of Milan Zrnic’s photos that appear on my website in a spinning tourist shop postcard rack, a piece of stationery based on a flattened walkman, a zine of BlackBerry photos I took on a European vacation, a deconstructed Comme des Garçons advertisement poster, some stickers. Everything will be small and super affordable. Yeah, I have a couple floating around my desk, including this sweet Bad Boy Club Members Card you gave me. What’s the motivation behind creating these self-initiated printed objects? It just feels good to make stuff. And I think it’s nice to get something in the mail. Have you done anything like an exhibition before? What’s your experience so far? I think designing for a space is like designing anything – arranging your apartment, choosing your outfit, designing a book. You deal with ideas, pacing, composition, space, color. And it all comes together. Thanks Eric. A couple of beers after this?